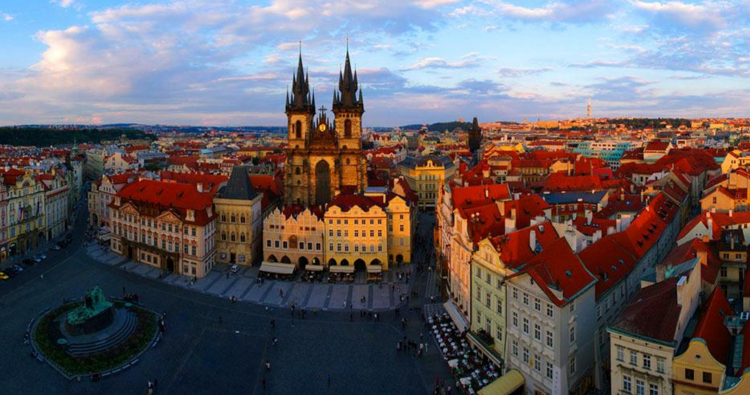 Prague (Czech: Praha) has been becoming more and more popular a spot for travellers. No longer an “undiscovered gem” of Central Europe, it is now one of the most popular destinations in the region. 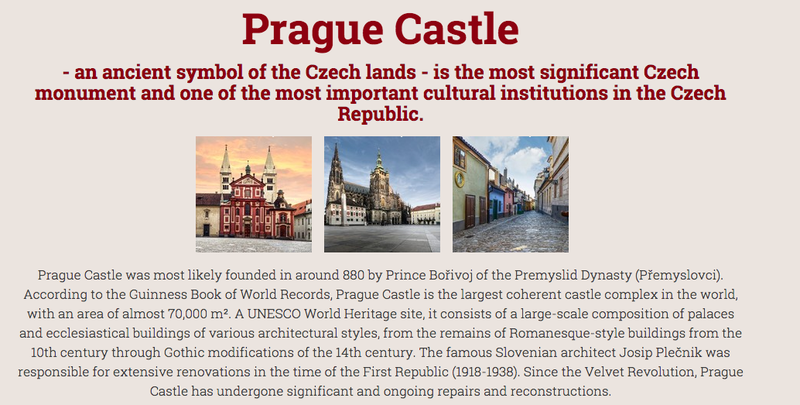 What is it that makes Prague so special? There is simply so much to do in the city, whether you are a foodie, into museums or just love to wander! Keep reading to find out the best places in Prague! Prague, with its magical medieval architecture (bridges, cathedrals and churches almost untouched by the terrors of WW2) and its charming Old Town in the shadow of the majestic castle is a vibrant city full of energy, history and culture. It is a city that any traveller, nomad or backpacker should see. CHECK OUT my article on Vienna, only a train trip away! Most staff in restaurants and bars tend to speak pretty good English, but apparently staff at train and metro stations don’t always speak very much. It’s always handy to have a few phrases at hand! Prague is easily accessible by air, road and rail. 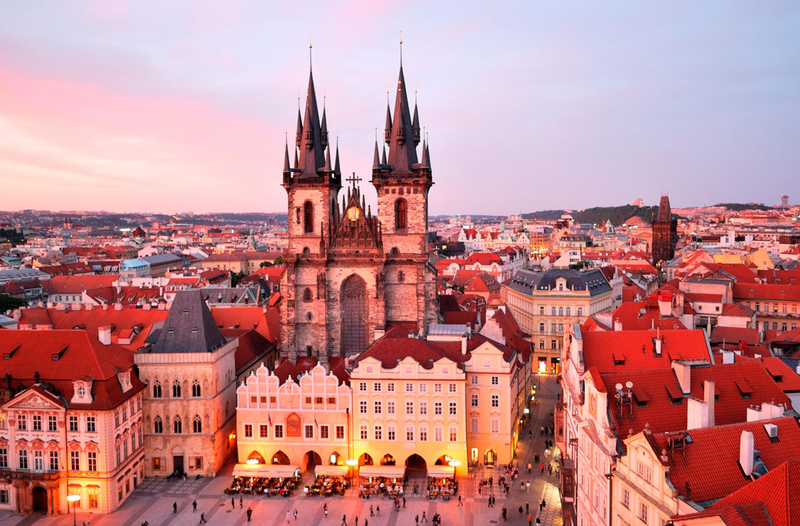 EasyJet, Ryanair, Wizz Air and British Airways fly to Prague from many British airports and trains and buses connect from a huge number of European cities including Berlin, Bratislava, Warsaw and more. Night trains connect the city with Germany, The Netherlands, Denmark, Switzerland, Poland, Belarus and Russia. 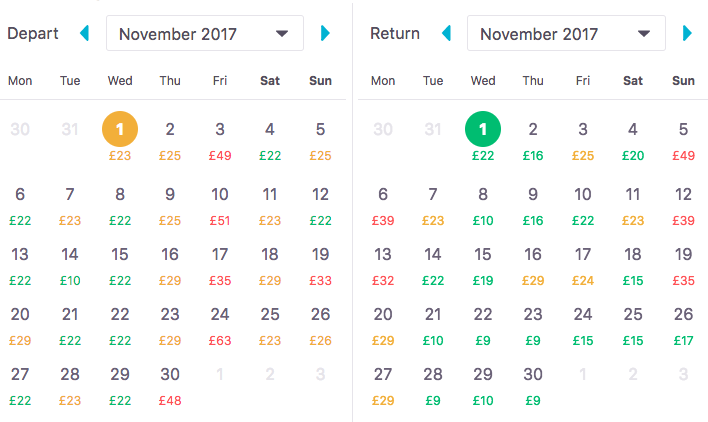 Find the cheapest flights from London to Prague with Skyscanner’s ‘cheapest month’ tool! 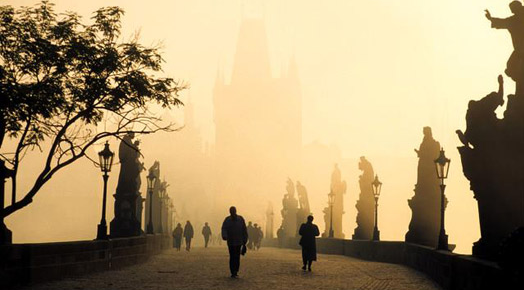 I loved Prague because it was so… walkable. If your legs get tired from all the walking, they have pretty good public transport too. Prague has trams and a metro with a variety of tickets, from a 30-minute ticket up to a 3-day ticket. Tickets work on an ‘honour system’ – don’t forget to validate your ticket before getting on a tram/bus/train. They do have both uniformed and plainclothes ticket inspectors and if you get caught with an unvalidated ticket you can be hit with an 800 (€30) koruna fine. Prague has SO much to see and do – when I visited two years ago (three days, two nights) I only saw a small portion of what the city has to offer. Prague has something for everyone – museums, architecture, tours, nightlife, amazing food. Prague Castle (Pražský hrad) is majestic, impressive, and pretty damn massive. You can get there easily by walking or by tram 22 to stop “Pražský hrad” or by metro line A (green) to stop “Malostranská”. The castle complex is open 6am to 10pm and the historical buildings are open November through March 9am to 4pm and April through October 9am to 5pm. There are a few different types of ticket, depending on what you want to see at the castle. The “full” ticket (includes St. Vitus Cathedral, Old Royal Palace, exhibition “The Story of Prague Castle”, St. George’s Basilica, Golden Lane with Daliborka Tower, Powder Tower, Rosenberg Palace) is 350 CZK, while the more limited ticket costs 250 CZK (includes only St. Vitus Cathedral, Old Royal Palace, St. George’s Basilica, Golden Lane with Daliborka Tower). See full details on the various tickets at the castle website. 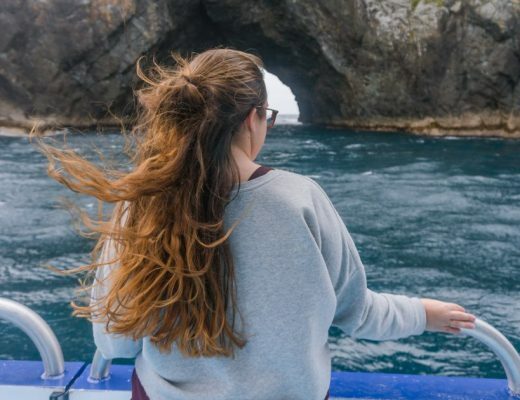 Discounts are available for children aged 6 – 16 (inclusive), secondary school and university students in full-time study until 26 (inclusive) and seniors past 65 (inclusive). FREE admission is available for children younger than 6 years old. Photography: Photography outside is fully allowed, but photography inside the buildings is only allowed without flash and without a tripod and costs 50 CZK for a permit. Guided tours of the castle are also available in English and other languages for 100 CZK per person (minimum 4 people) and lasts for 1 hour. Audioguides are also available for 350 CZK (3 hours) or 450 CZK (full day). Charles Bridge (Karlův most) is probably one of the most touristy spots in Prague now. Commissioned by Czech King Charles IV in the 14th Century, this 1,700ft long cobblestone bridge is one of the most well-known landmarks in the city. The bridge is popular with musicians, artists and other street performers – I wish I still had a video (sadly on an old phone and was lost) that I recorded when I was there two years ago, I watched an amazing singing group perform in the evening! Prague’s historic centre (Staré město) is not to be missed, with a multitude of monuments and buildings to see. The Old Town Square is the perfect place to begin, with the Týn Church towering over the square as well as being where the Astronomical Clock and the statue of Jan Hus (reformer and philosopher, executed for heresy) are located. The square is also a perfect point to get your bearings before heading to Wenceslas Square, the Powder Tower and the Church of St. Francis. Its also a prime location for a coffee or a bite to eat. Josefov – the Jewish Quarter of Prague – is the location of the Old New Synagogue, which is the oldest active synagogue in Central Europe. There are some poignant exhibitions at the museums, including a permanent exhibition at the Pinkas Synagogue of the now world-famous children’s drawings that were made in the ghetto between 1942 and 1944 under the supervision of the artist Friedl Dicker-Brandeis. These emotionally powerful drawings bear testimony to the persecution of Jews during the Nazi occupation of the Bohemian lands in 1939–45. They document the transports to Terezín and daily life in the ghetto, as well as the dreams of returning home and of life in the Jewish homeland of Palestine. The vast majority of the children perished in the gas chambers of Auschwitz-Birkenau. Josefov is also the area where you can enjoy a delicious lunch or dinner in restaurants that specialise in kosher food. 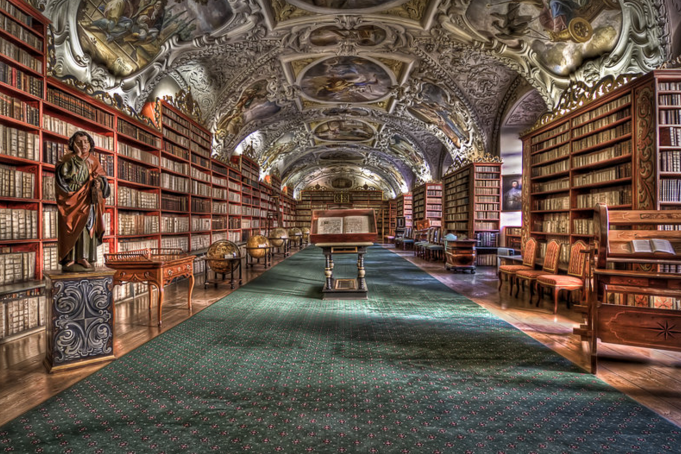 Strahov Monastery is an active monastery that is easily accessible by tram (no. 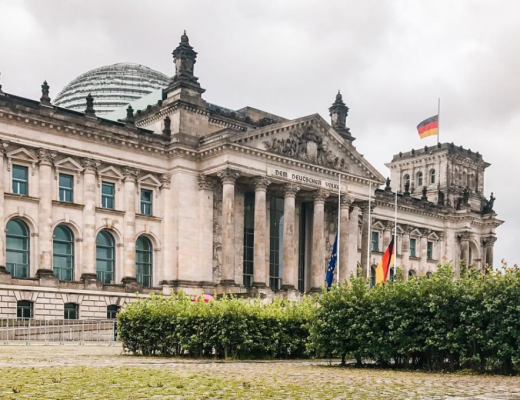 22) and is a seriously impressive structure, including its amazing library that still holds over 200,000 volumes (despite being ransacked by invading armies in the past). Tickets cost 80 CZK for adults and 50 CZK for students and children. Photography is at a 10 CZK surcharge. Visiting the monastery and paying the small entry fee doesn’t get you full access to the library, so if you’re keen to get a full tour of the library then there are some private tours available and you can also contact the monastery themselves, especially if you are interested in an academic or theological purpose! There is a multitude of tours in and around Prague. I never did any myself but some that look interesting (and I want to check out!) are Johnny’s Prague Photo Tours, Biko Adventures, and also the river cruises on the Vltava. Prague is also the perfect base to explore more of the Czech Republic – day trips or weekend trips to places like Kutna Hora, Cesky Krumlov or Karlovy Vary. Karlovy Vary is only 2 hours away from Prague and is perfect for a day trip – check out Aurelia’s post on what to do when visiting! 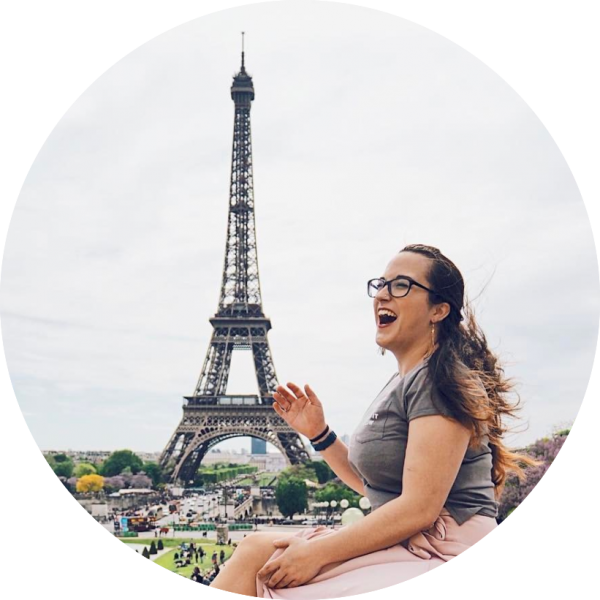 Instead of my usual opinions on eating and drinking in a city, for Prague I want to direct you to the amazing post by Sarah of Tales from a Fork – check out her recommendations for eating like a king in Prague! 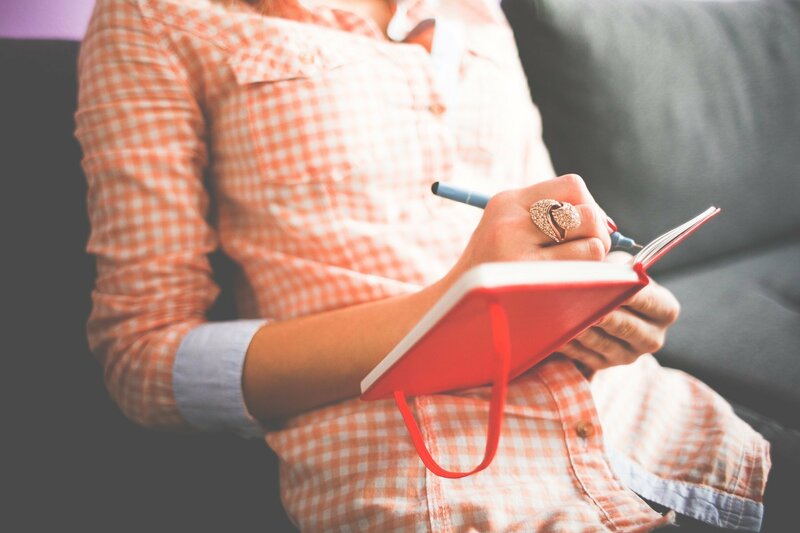 Her recommendations include suggestions for meat lovers, pasta addicts and vegans/vegetarians. Update 2017: I recently did a short weekend in Prague and discovered an amazing vegan restaurant. If you are visiting Prague, you can’t miss Plevel (Krymská 2, Prague 10). Even if you’re not vegan, they have an amazing selection of delicious meals! When I was in Prague, I had a great stay at PLUS Prague – part of a small chain of hostels in Europe that have a little more ‘luxury’ than some others. They have pools, saunas, gyms, restaurants and bars and – for the ladies only, obviously – great female-only dorms. Their “PLUS Girls” dorms come with free fluffy towels (none for you, lads) and hairdryers provided. You also get a complimentary cosmetics bag with “goodies” (ooh, a mystery) and the rooms have spacious bathrooms with cosmetics tables and big mirrors. Maybe a little stereotypical, but hey. If you don’t like sharing with guys (and after living with three guys for a year I can see where people get the idea from) it’s a perfect place. Rooms from €7 per night (mixed 8-bed dorm) or from €9 PLUS Girls (female-only, 8-bed dorm). If you’re looking for somewhere a little fancier, then I highly recommend Hotel Century Old Town Prague, part of Sofitel’s MGallery line of hotels, or the absolutely stunning Motel One Prague. 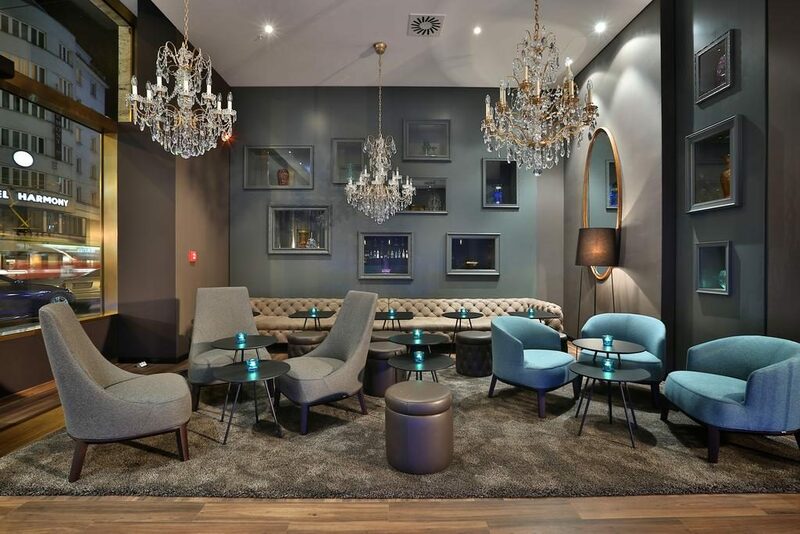 The beautiful lobby of Motel One Prague! Well, we had to make it to this section eventually! Pubs: So not necessarily nightlife, but it fit best here. Prague has some great pubs, and (the best bit) they’re perfect on a budget. A 0.5l beer (basically a pint) of the local stuff (in Prague that would be Staropramen) costs approximately 20-35 CZK. So between $1 and £1, pretty much. Clubs: The most well-known of all of Prague’s clubs has to be Karlovy Lázně, a five-storey club right next to Charles Bridge. Each floor has a different music genre (disco, chill out, etc) and this place has been recommended to me by so many people. Czech out (hehe) the listings at My Czech Republic for more clubs, pubs and bars! If you’re really into your nightlife (or your beer, he has some good suggestions), take a look at Drew’s Ultimate Guide over at The Hungry Partier. Have you been to Prague? Where do you recommend to sleep, eat and party? What should a traveller not miss in the city?